As temperatures drop, people tend to spend more time indoors. If you spend a considerable amount of time in front of a computer, be sure to follow the 20-20-20 rule; after 20 minutes of time on the computer, look at an object 20 feet away for 20 seconds. Doing so helps rest your eyes, reducing the risk of developing computer vision syndrome. We also suggest staying active even when it’s cold outside. Exercise regularly and maintain a healthy diet to protect yourself from macular degeneration, diabetes and other diseases. Don’t forget to keep yourself hydrated by drinking lots of water. Failure to stay hydrated can cause your eyes to become dry and red. As an eyeglasses and eye health expert, we also recommend undergoing a comprehensive eye exam this season if you haven’t already. An eye exam tests more than visual acuity; it also evaluates your overall visual health, checking for signs of underlying eye conditions. Having regular eye exams is important because many eye diseases are asymptomatic in the early stages. We can run quick tests during your eye exam to promptly detect underlying conditions, paving the way for more effective treatment. 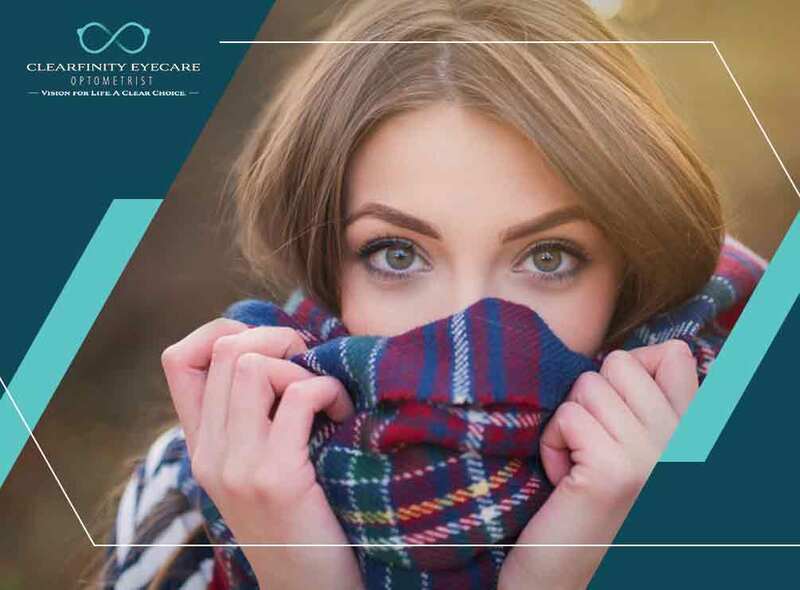 Clearfinity Eyecare Optometrist can provide patients with comprehensive eye exams and prescribe high-quality contact lenses and eyeglasses. We can also help with the treatment and management of dry eyes, glaucoma, cataracts and many other eye conditions. We provide personalized services to all our patients. Call us at (703) 291-0485 to learn more about our services. We serve Woodbridge, Gunston Heights and nearby areas in VA.